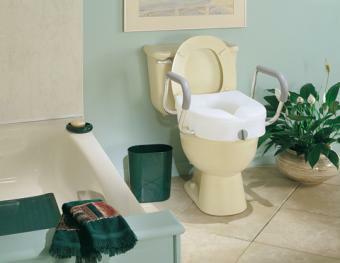 The E-Z Lock Raised Toilet Seat with Adjustable Arms from IndeMedical.com assists those with bending or sitting difficulties by adding 5"€ of height to the toilet seat. 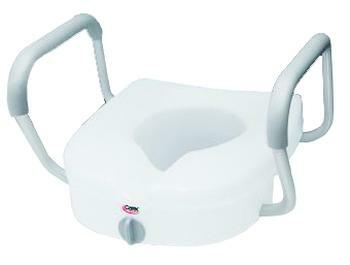 The easy-to-use locking mechanism secures the raised toilet seat to the toilet bowl. The smooth contour seat has built-in hand grips for easy handling and is lightweight and easy to clean. 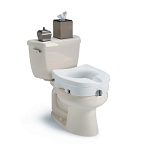 This model comes with adjustable armrests from 18" - 20" and fits most household toilets. Product Dims: (h x w x d) 5" x 15.5" - 22" x 17"